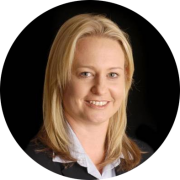 Alana White – As Operations Manager, Alana’s background in the legal and settlement industries is the backbone behind the systems and processes that have assisted RE/MAX Extreme in the success they have achieved to date. Being primarily focused on providing cutting edge technology, and market leading systems to all members of the RE/MAX Extreme family, Alana works tirelessly improving and providing up to date tools to ensure that everyone can provide the highest level of service and results to all clients of RE/MAX Extreme. Alana has a passion for seeing the team at RE/MAX Extreme exceed their own expectations, and be fully resourced to reach their potential. Alana: I suppose probably the biggest thing for me was identifying sort of tasks within the property management industry that were really administration-based that the property managers would love if they didn’t have to do. So they could get out there and you know, do the things out in the field. So I identified so many of those and thought, you know, that’s really hard here to find people passionate about doing those sorts of tasks as well. Eva: Well, it can be tedious and boring. How Did You Get Started With Outsourcing? Alana: So we started looking at how to do it and really came across those sites like freelancer.com where you go and employ somebody you know working from their house or something like that. So we had a little play around with that. Probably not very successfully. It was little bit tricky. It was sort of after too long that I realized if I was sort of serious about doing it that I needed to partner with a company that I could trust and that I knew sort of understood how it works when you’re employing people in different countries and the rules and regulations and pay and all of that sort of stuff. Eva: It can be tricky and bit of a minefield. Why Is Trust Important In Outsourcing? Alana: Probably firstly the information that you need to give access to to enable somebody to help you out with your business. You know, access to CRMs, and things like that. So obviously, you don’t want to be in a situation where somebody just takes that away with them. So some controls around that which is really difficult if the people aren’t here. Eva: But I guess even in that, you gotta have controls here as well. Alana: Yeah. So trying to make sure that that was protected I think was really important. Trying to find somebody that cared about that as well with employing people was really important to us. Eva: Yeah that’s fair enough and it is a big factor, absolutely. Why Did You Choose Affordable Staff? Alana: So I actually had, obviously as I mentioned, gone direct to freelancers to start with and I also tried another outsourcing company for a little while. Like I really tried to persevere with it and kind of really lost faith to be honest because I found a lot of staff turnover and like I just wasn’t sure what was going on over there and if you’ve got people as part of your team, you wanna make sure that they’re looked after. Eva: And they’re gonna stick around. Eva: Give it another go. Alana: Yeah and look, the experience has been completely different. It’s been amazing. I think the way that you guys recruit people, check them out first, and make sure that whoever you’re putting forward, you know, is capable and committed. Yeah, it’s been fantastic. Eva: But then you go, hang on a second. Do I have a process in place for it? Alana: Exactly. But once that’s all set up, that was probably the biggest thing, the amount of time it takes to kind of get yourself ready. But then once you’ve done that, then you’re good to go. So, limitations-wise really just comes down now to our processes and how we can set them up to outsource. How Is Your Team Working With The Offshore Staff? Alana: So we have, we’ll put them up on the screen and have some chats here and there or have a team meeting. And I think they really appreciate that fact. Eva: You’ve got three team members over there. So you actually have them here in the boardroom talking to you? Alana:Yeah we have meetings with them so that the property managers kinda know who they are and that sort of thing and they know the tasks that they help us out with, which the property managers love because it saves them doing those really tedious, repetitive tasks. So they really appreciate the work that the guys do there. Did You Have Any Resistance From Your Local Staff? Eva: Did you have initially any resistance from your local team thinking that their jobs might be potentially in jeopardy? How did you deal with that? Alana: Yeah, definitely. I was thinking how do I get around to this and explain it in what I really feel is the truth and that it is a benefit to them as well. And I think at the end of the day what we like to try to do is, property management is such a stressful industry. Alana: And you hear all the time about, you know, how stressed out property managers are. So for us, you can never replace a property manager’s role. You just can’t. But what you can do is actually help them with some more support. Has Outsourcing Made A Significant Impact On Your Business? Eva: Has the stress levels in your office reduced since you’ve been outsourcing? Alana: I think definitely. I think the enjoyment for the role has increased because you have less of that stuff. I mean, let’s be honest, most property managers don’t love sitting in front of the computer, doing that side of it. So, for us it was about just trying to help them. It’s never gonna jeopardize their job. There’s no way that you can outsource what they do but you certainly can help them with the administration side of it quite easily. How Does The Local Team Engage With The Offshore Staff? Alana: We’re really task-based. So they do this, you do this. It’s kind of really quite organized like that. Eva: But you’ve got a very organized team over there as well. Alana: Yeah. So they do communicate, definitely. If they’ve got questions on certain things, like if they’re checking tenancy applications, for example, and the property managers wants to query something further, they can definitely have contact. What Difference Has Outsourcing Made For Your Business? Alana: I think it makes our business a better place to work if you’re a property manager for sure once you get your head around it and don’t think it’s taking your job. It’s not. I think it just means that we can be more customer service-focused to our clients as well. So the level of communication has increased massively. Because the property managers aren’t here all the time. So they can’t be sending this and updates all the time, whereas the admin assistants can do that, they’re in the office the whole day. So we’ve definitely increased client communication. Eva: So the admin assistants have more time to do those touch points. Alana: Yeah cause they’re not out doing inspections or final bonds and all that sort of stuff so yeah. What Advice Would You Give To Someone Considering Outsourcing? Alana: It’s kind of like when you get a landlord who wants to come to and says “what are your fees?” You know, and they always wanna go with the cheapest person and for me I think, it’s absolutely the wrong decision to do that with outsourcing. Because you can go to a really really good company that would be outsourcing in the way it works, it’s not gonna cost you a fortune and get security and trust and good staff members as opposed to going and finding the cheapest company that you don’t know if they’re following the regulations and all that. Eva: Are they working from home? You don’t even know that. Alana: Yeah. There’s gotta be a fair bit of that. So that’s probably the biggest thing if I had my time over again, I would have sought out like a really reputable company and you know, from referrals, rather than going “oh I’m gonna go and have a look and this person charges that” and just trying different things out. So I’d go straight for the people that specialize in doing it right. I’m happy to talk to you about how it’s assisted us, and how we’re able to trust David and his team, and we’ve got other mutual clients that you could talk to as well. Affordable Staff are great. My full time virtual assistant has been a game changer for my business and the terms you enter into are easy and straightforward. I can’t recommend Affordable Staff highly enough, the entire team from the management to the VA’s to our representative Damien have all been with us every step of the way in implementing processes and structure which has created an efficient streamlined business. If ever I need anything Damien is only a call away and always willing to listen and introduce new ideas to provide solutions. The introduction of a VA to our property management division has been nothing short of a game changer’. I can now provide a new level of unequalled support to ten property managers across three separate sites. Bite the bullet and give it a go. It’s been an incredibly valuable addition to our business. We’ve taken steps forward, we’ve been doing it for a few years and I’ve already seen significant change to our business. I can’t recommend Affordable Staff highly enough as my team are fully supported. The pressure is taken off where we can now have lunch every day and actually leave on time every afternoon. We have operated with a remote team assisting our property management processes over a year now. Our experience with Affordable Staff has been fantastic. The way they recruit and then induct the team is second to none. I can say this because we have had experience with another company. They are easy to deal with and upskill the girls on the programs before they start working with you. Their understanding of the industry is great and they are all very easy to deal with. If you are considering hiring a remote team, Affordable Staff are the people you should be talking with. My recommendation for any business is to take a step back and look at what’s coming to the market. Look at software, hardware and social media. Look also at outsourcing but don’t look at it as something that’s going to take away from your business, rather something that’s going to add value to your business. I’ve always been apprehensive of outsourcing as I didn’t know where to start, thought it would involve a lot of my time and had fears around working with a person based in another country. Damien and the team at Affordable Staff held my hand throughout the entire process. I am now 12 months on and could not work without the support of my VA. I found the transition of working with Affordable Staff surprisingly easy, cost effective and my VA to be loyal, polite and always going above and beyond my expectations. We haven’t employed the team overseas to get rid of any team we have in our office… It’s to add value to the team in our office. Our local staff can now focus on more client-facing and client-building relationships while our team in the Philippines are doing some of the back-end things to help them out in their day-to-day operations. We’re also adding more value added services to our clients, too. We’re introducing a lot of things that we just could not have done otherwise. Whereas before we just didn’t have the manpower to achieve it. So I think now, we can give a much higher level of service to our clients because they’re helping the team do that.